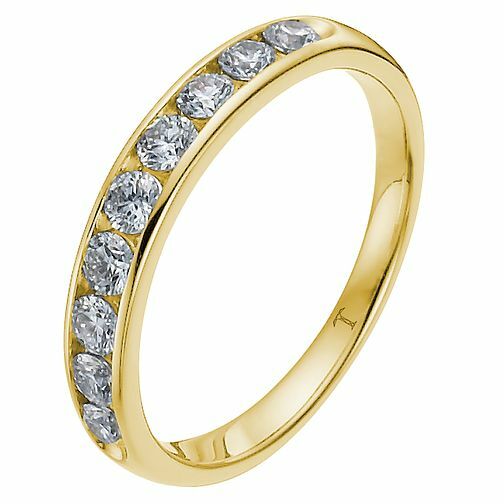 A simply classic 18ct yellow gold ring, channel set with 1/4ct of glittering diamonds. The Tolkowsky diamond is cut using a precision formula known as 'The Ideal Cut', ensuring maximum brilliance and sparkle in each and every diamond. The perfect wedding band to accompany a Tolkowsky engagement ring, or as an eternity ring for a loved one.